Have you mastered Boar Rushes Down the Mountain? Folding the Fan? 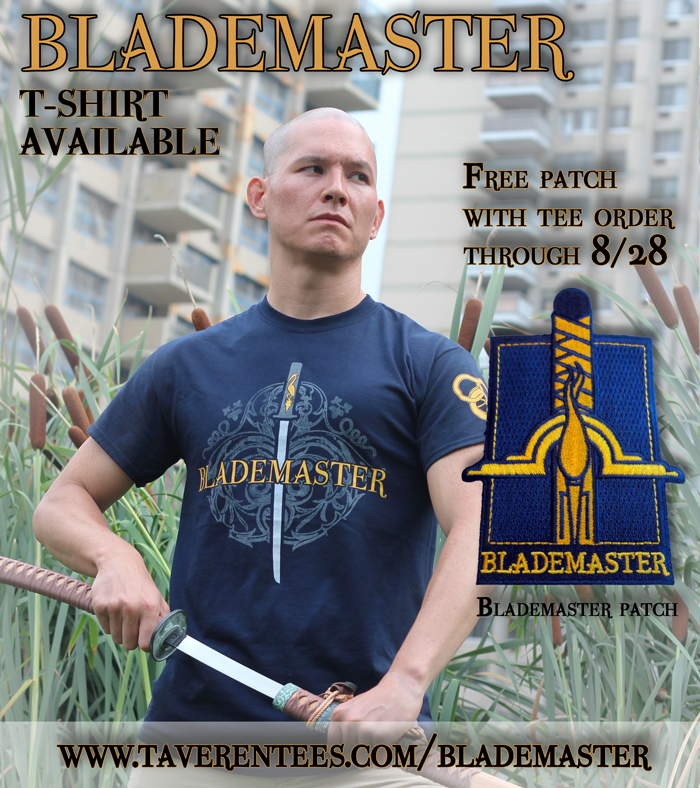 Tell the world of your prowess with the blade with Ta'veren Tees' newest design: Blademaster. 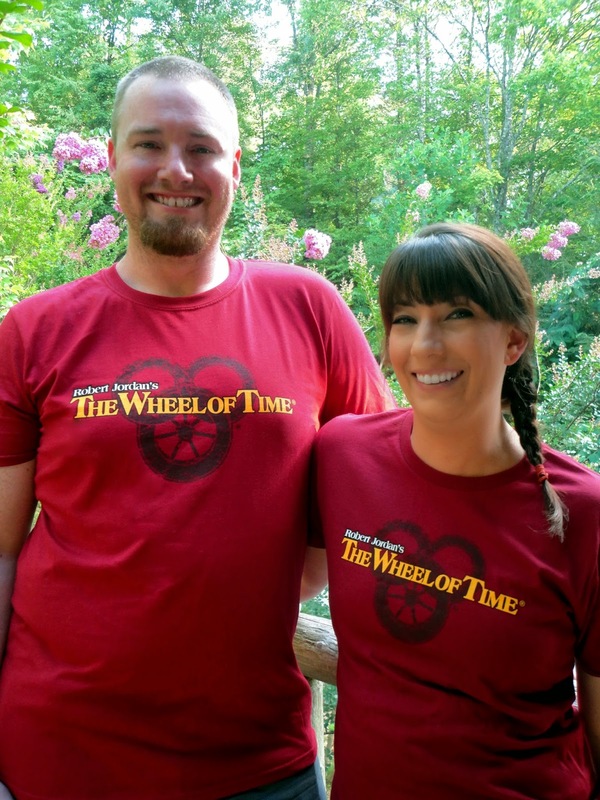 In addition to these new items, we have relaunched the "Robert Jordan's The Wheel of Time®" shirt with an updated design and restocked it in both men's and women's shirts - men's to 5XL, women's to 3XL. The Wheel of Time series has been nominated for a Hugo Award! Cheer on your favorite series this Sunday night, August 17th starting at 3:00pm PDT, while streaming the Hugo Awards live at http://www.ustream.tv/hugo-awards. If you cannot be there to see the news live, keep an eye on our facebook page for news of the outcome. The Light illumine Team Jordan! Tai'shar Robert Jordan! Tai'shar Brandon Sanderson!